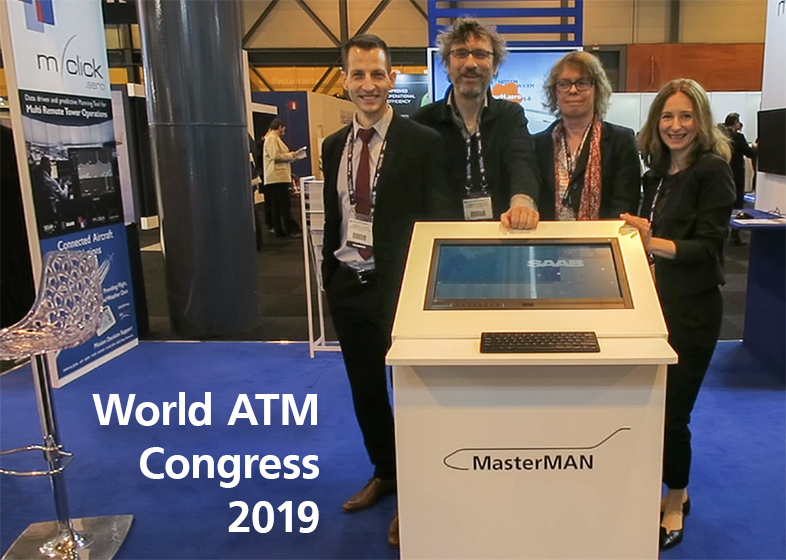 Last week we presented the newest developments of MasterMAN, our assistance system for remote tower control, at the World ATM Congress in Madrid together with our partner m-click.aero. Our booth was quite busy, especially with visits from ANSPs, suppliers, and airports. We were very excited about having company from Saab. Our cooperating partner currently tests the Remote Workload Planner, a facet of our MasterMAN, in a comprehensive validation study in Sweden. This week Rodney attends the study and is ready to answer questions during the Open Day on 21st of March in Växjö. From March 12 – 14 the annual World ATM Congress takes place in Madrid. 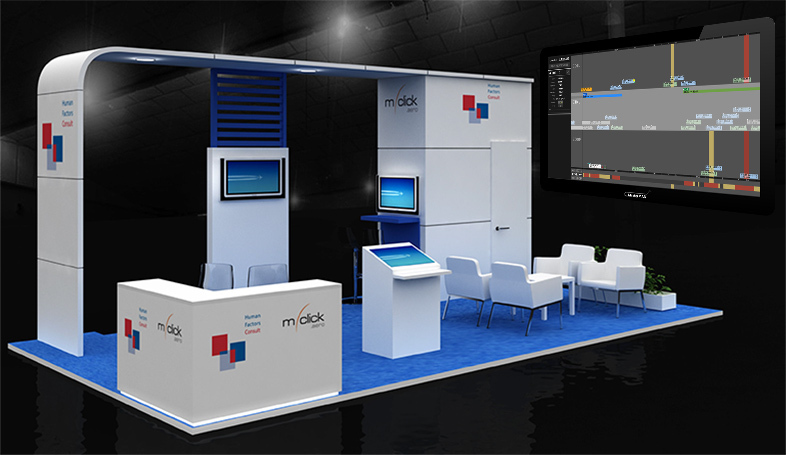 We will present the newest developments of MasterMAN, our assistance system for remote tower control, at booth 375 together with our partner m-click.aero. Since 2017 we are cooperating with Saab, the remote tower control pioneer and market leader for the related remote tower solutions. Saab is supplier of LFV, the Swedish ANSP. Saab and LFV are the first cooperative, which brought remote airport control into operations in Linköping, Sundsvall und Örnsköldsvik. We are very much looking forward to welcoming you in Madrid. 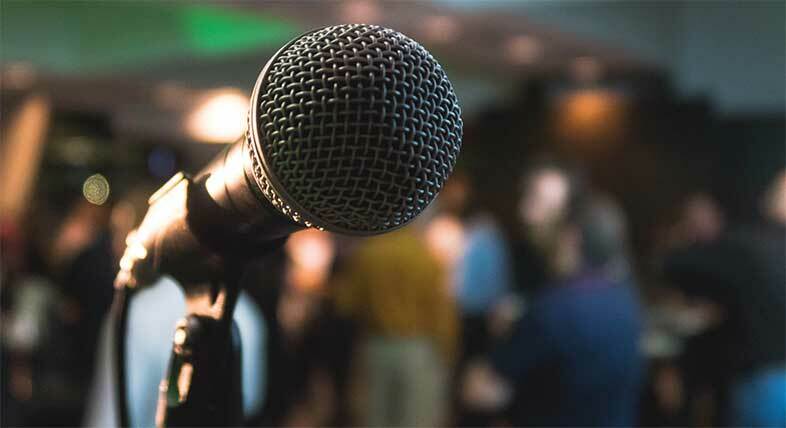 We start 2019 with paper and presentation contributions at two renowned domestic and international conferences. Vaishnavi Upadrasta together with Harald Kolrep und Astrid Oehme successfully launched the paper Improve your Task Analysis! Efficiency, Quality and Effectiveness increase in Task Analysis using a Software Tool at the 10th International Conference on Applied Human Factors and Ergonomics (AHFE 2019), which Vaishnavi will present there in July in Washington D.C.
Hanns-Peter Horn will present on Now what might you be up to, mate? – Forschungsbedarfe zu Intuitivität und Berechenbarkeit robotischer Systeme im Alltag. Paul Schweidler will report on Der Einfluss der äußeren Gestaltung eines Service‐Roboters auf Anthropomorphismus und User‐Experience as well as on ERICa – Mensch‐Roboter‐Interaktionen klassifizieren mit dem Environment Robot Interaction Canvas, the latter together with Astrid Oehme and Thomas Jürgensohn. Vaishnavi Upadrasta will talk about a method for assessing the quality of a task analysis. Our contributions are closely related to the research projects KUKoMo, INTUITIV and ARAIG. We are very much looking forward to an active discussion with the conference participants. We are looking for deaf and hearing signers! As part of CONTENT4ALL, we are currently running a survey for deaf and hearing signers. Therefore, we want to gather needs and wishes to a system that makes TV more accessible for the Deaf by providing a virtual signer. Please also draw the attention of your acquaintances to the survey. We are looking forward to your participation! 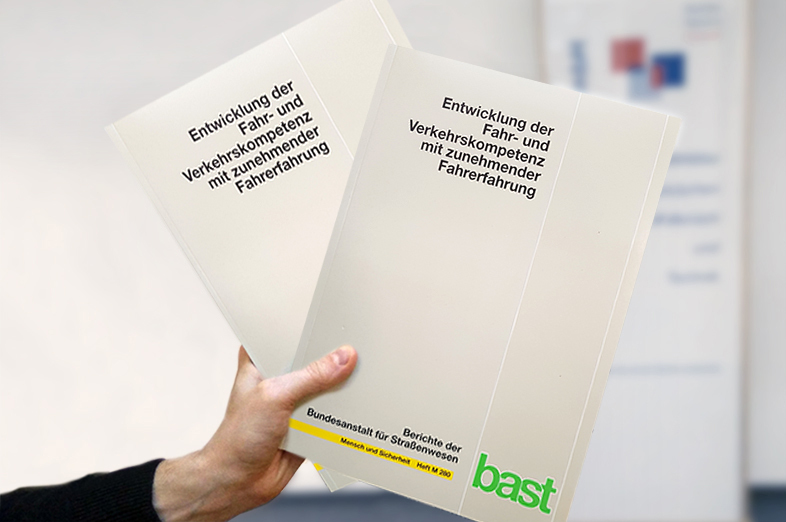 A project report of HFC has been published, which was prepared in the project Entwicklung der Fahr- und Verkehrskompetenz mit zunehmender Fahrerfahrung / Development of driving and traffic competence with increasing driving experience conducted for the German Federal Highway Research Institute BASt. The aim of this research project was to develop an implementation concept for a longitudinal study for the recording of the development of the driving and traffic competence of novice drivers over time. The basis for this is a theoretical framework for driving skill, driving competence and their increase by practice and experience which we derived based on theoretical considerations and against the background of published findings regarding the traffic safety of young and novice drivers. The report is available in German on the BASt website. Last week, as part of the CONTENT4ALL project, we conducted an interactive workshop with students from the Ernst-Adolf-Eschke-School. The Eschke-Schule is a Berlin based school for the Deaf where all the 5 participating students of the 10th grade speak German Sign Language. The CONTENT4ALL-Project is an EU-funded project that develops technologies that will facilitate the production of accessible TV programs in the future. With the help of flipcharts, we developed typical media and programs as well as their advantages and disadvantages that students use. Using sample videos, we discussed what aspects they may or may not like about current sign-language TV programs. At the end, the students let their creativity run wild: as heads of the “Media for All” department of a major German television station, the students developed and drew their ideas of how television in future should be. All results are directly connected to the project work and form the basis for further system development. as well as the management of the Eschke School, who supported us through their willingness to conduct this workshop! We look forward to the workshop at the Wilhelm-von-Türck-School in Potsdam after the summer holidays. We start to work on the project “Kamäleon” (constructive adaptive mobility by light vehicles without borders). The aim of the project is to further develop kickTrike©, an electric light vehicle by Constin GmbH. This vehicle is specially designed for urban and intermodal transport. It can transport loads and can also be taken on public transport like a bicycle. In the future, the kickTrike© will be able to adapt even better to mixed traffic and be ready to drive on the road as well as on footpaths and cycle paths. It automatically changes its visual appearance when it switches from one traffic area (e. g. road) to another (e. g. cycle path). User tests are used to evaluate the acceptance of such a vehicle for mixed traffic. One of the goals is to create a green alternative to cars. Our new project CONTENT4ALL will start on September 1st. Together with 5 european partners we will develop a new approach, translating spoken language in media into sign-interpreted language via 3D representation of the human sign-interpreter on a personalized stream for the deaf. 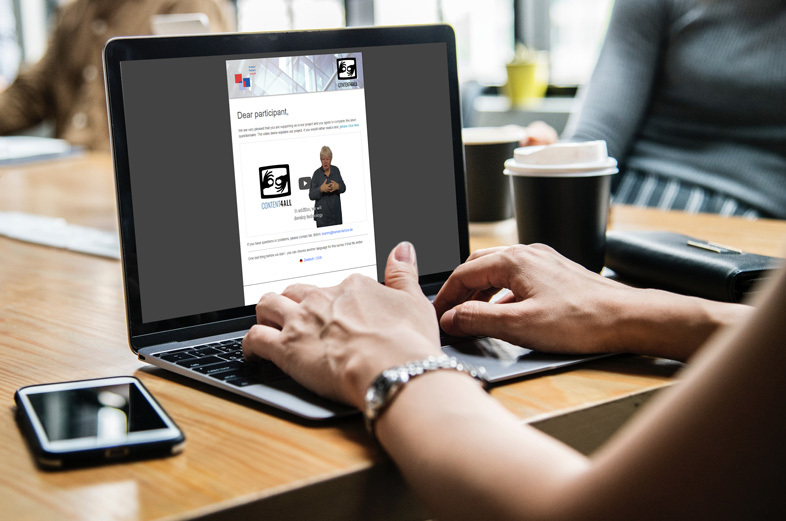 CONTENT4ALL will demonstrate automated sign-translation applied to a real-world television broadcasting scenario, which is envisaged to lead to new approaches and innovations in the area in the long-run. HFC will bring in its user-centered design approach together with its expertise in user research, User Experience, and accessibility. The team consists of the Fincons Group AG, the University of Surrey, the Fraunhofer Heinrich Hertz Institute, the Swiss TEXT AG, Vlaamse Radio- en Televisieomroeporganisatie and HFC Human-Factors-Consult and is funded by the European Union. We are looking forward to 3 years of successful cooperation! The topic of roboethics in the industrial domain was addressed by HFC in association with the Institute of Philosophy at the Technical University of Berlin for the German Federal Institute for Occupational Safety and Health (BAuA) in a nine-month-project. The objective of the project was to identify socio-ethical aspects of human-robot-interaction that are especially relevant in the industrial domain. 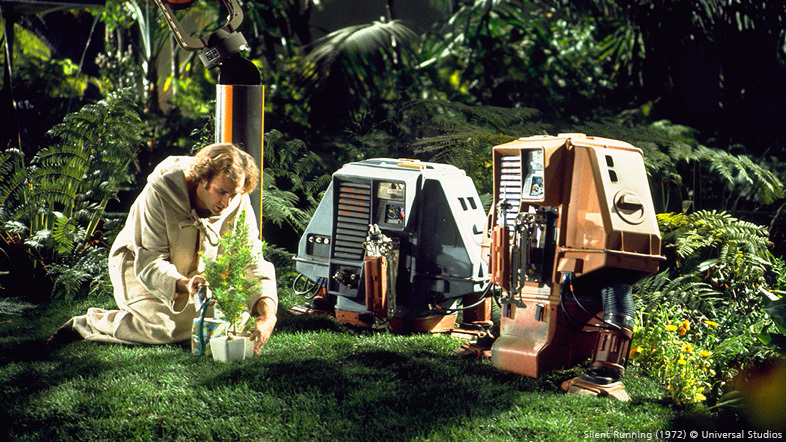 Following several theoretical analyses, three essential variables were identified that impact emotional aspects, the perceived responsibility, and the user acceptance in the industrial HRI: the hierarchical role of robot and human in the interaction, level of robot autonomy, and robot morphology in terms of shape, context, communication, and motion. The results form the basis of socio-ethical design guidelines for industrial HRI. On june 24th, HFC participated at the Berlin / Brandenburg “Lange Nacht der Wissenschaften” presenting this project and having enthusiastic discussions at an invited panel session on roboethics. In a research project on behalf of the Departments of Transportation of Baden-Wuerttemberg and Thuringia, HFC examined the impact of cycle helmets on improving traffic safety and measures to increase helmet use among cyclists. The final report is now published (PDF in German). 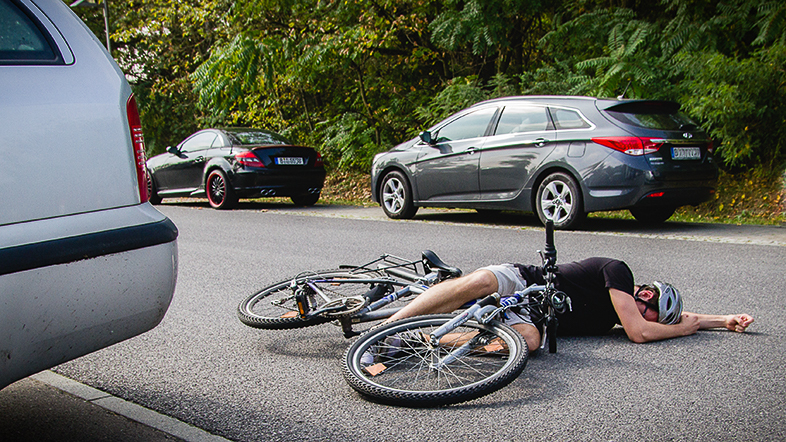 Overall we conclude that many injuries and fatalities in Germany could be avoided by cyclists wearing a bicycle helmet.